The “World IBJJF Jiu-Jitsu No-Gi Championship” took place in Anaheim (CA) recently. 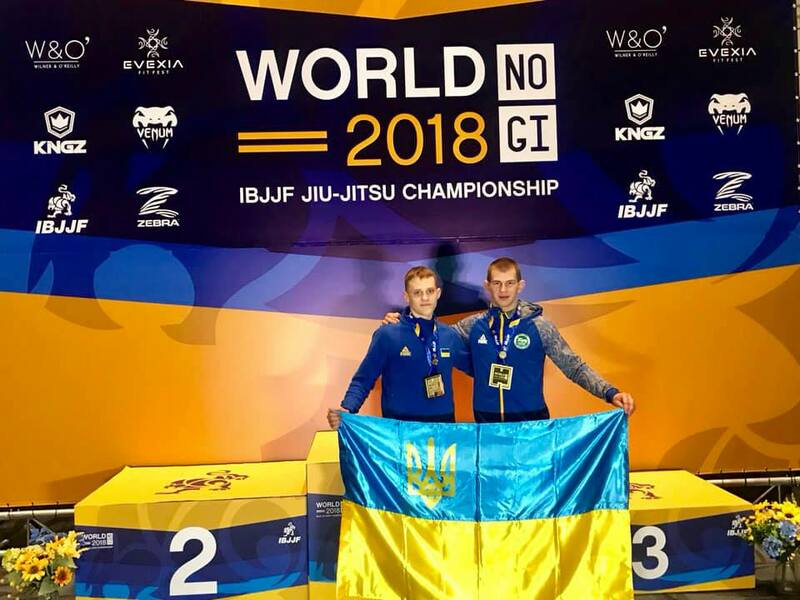 Fighters of the SC “Borets” /ZR Team Yaroslav Blazhko and Serhii Krasovskyi have represented Ukraine at the international sports arena. During the competition, Yaroslav had 4 fights, three of which he won by technical superiority. However, Ukrainian fighter lost one point to the world champion during the semifinal fight. According to the results of the championship, Yaroslav Blazhko took bronze of the “World IBJJF Jiu-Jitsu No-Gi Championship” among the adults of the purple belts. In addition, Serhii Krasovskyi won the gold medal of the “World IBJJF Jiu-Jitsu No-Gi Championship” among juniors.